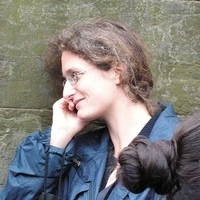 Lucie Doležalová received her PhD in Medieval Studies from the Central European University in Budapest in 2005 and her habilitation in 2012 at the Charles University in Prague where she teaches medieval Latin and manuscript studies. She has published a monograph on the medieval reception of an obscure opuscle Cena Cypriani, and another one on the late medieval biblical mnemonic aid Summarium Biblie. She also edited six collective volumes on memory, lists, retelling the Bible, miscellanies and obscurity in the Middle Ages. Her current research focuses on reconstructing the medieval library of Augustinian canons in Roudnice nad Labem, the art of memory, and the Decalogue in late medieval Central Europe.